Solve your temporary fencing storage and transportation issues! 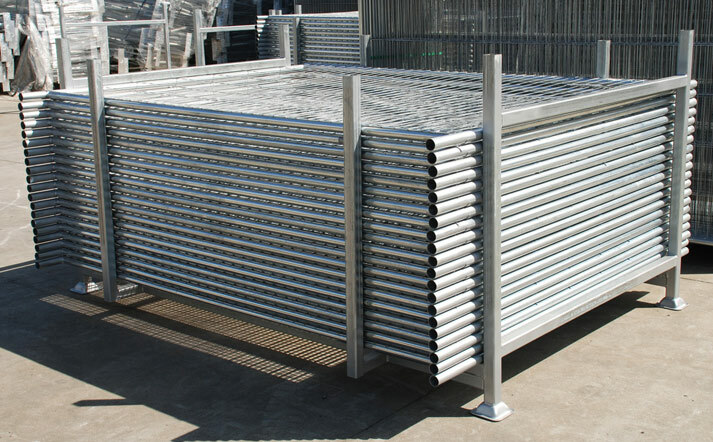 Stillages are manufactured to the highest standard to ensure that you can stack, store and transport up to 45 x 3000 Series fence panels or 54 x 2000 Series fence panels per stillage. Solve your temp fence storage and transport problems! The Fortress Fencing fence panel stillages are made from heavy duty galvanised steel and hold up to 54 temp fence panels neatly and securely. Consisting of a rigid base frame with forklift tyne slots, the four corners have a slot-in upright bar to hold your fence panels in place during transport. All four vertical supports are removable for easy loading and unloading. 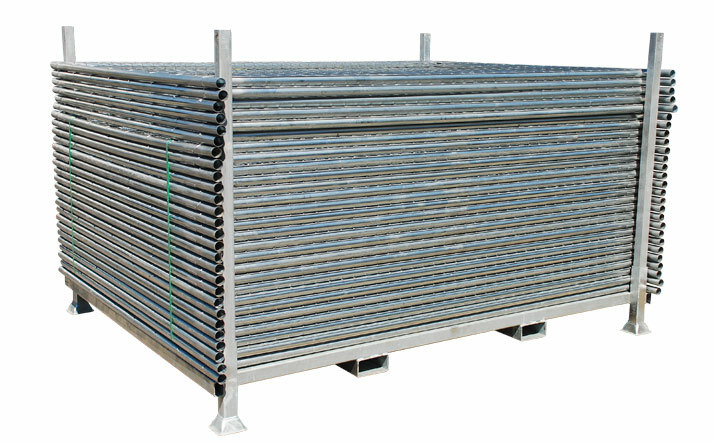 Each stillage is designed to hold up to 54 of our 2000 Series fence panels or 45 of our 3000 Series fence panels. Our stillages are purpose built to fit Fortress temporary fencing, ensuring your temp fence panels are perfectly fitted onto the storage base. 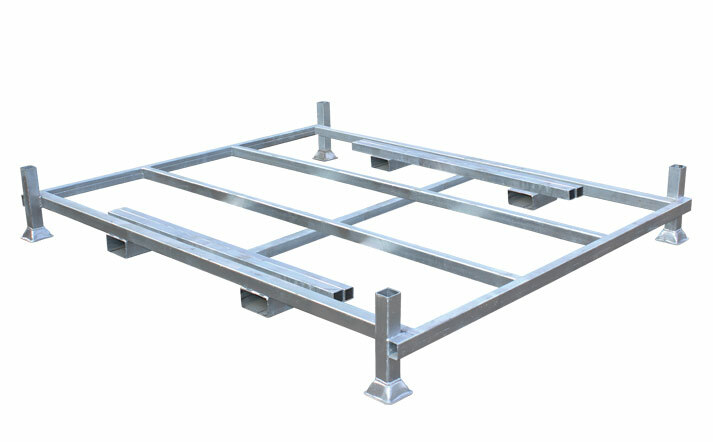 This helps reduce any movement during transport, and eliminates the risk of toppling during upright transport methods. In storage, your temporary fencing panels are held up off the ground on the stillage, allowing rain and dirt to wash away. This prevents fence panels from sitting in pools of water or accumulating large amounts of dirt and debris in the yard. The Fortress panel stillage is stackable with access for forklift tynes from the front and back. Storing your temp fence in a stillage makes for a neater, more organised yard or work site. Stillages reduce hazards on site too – leaning temporary fence panels against a wall or fence can easily create a safety hazard if the panels were to fall. Stillages make fence panels easier for staff to manage too - see at a glance how many panels you have on hand and accurately allocate the right amount of fencing to your next job. For more information on how easy it is to use Fortress Fencing, check out our installation guide.